I have to say I spent a grand total of 1-2 hours solely dedicated to grinding in the game to up my levels for the boss rush. While there are no specific enemies you can seek out that will give you tons of experience, there are two accessories you can obtain in the game that will each boost JP and XP by 50% for the whole party in any given battle. Not only that, if you unlock one of the secret classes there are passive skills you can learn that will also boost each by 50%. That means with those two things you can double your experience and JP for all battles. If you go to the right area and quickly dispose of all your encounters and you can level up characters extremely quickly. And, if you want to take some risks you could always try bewildering grace with Primrose which could randomly give you HUGE experience bonuses. I thought I'd share that because I completely disagree with your experience obtaining thoughts. 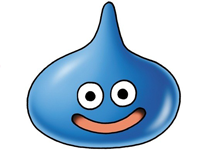 And while you love to refer to "fan boys" in your blogs and reviews constantly I hope you're aware of that you are a "fan boy" of Dragon Quest. Without the epilogue to shake things up, DQ 11's story is about as predictable and shallow as they come. When the initial credits rolled I was actually disappointed. If you want to experience the good story of DQ 11 you have to play the epilogue, honestly I consider it an essential part of the game and not "bonus" content. But, I do generally agree with the story telling. Octopath could have been much better, not sure that's enough to downgrade it to a 3/5, but that's up to you. Lastly, I LOVED the soundtrack in Octopath. DQ 11's soundtrack was average at best, probably the most disappointing part of that game. I responded to your questions in my Octopath review. Your review does not increase my enthusiasm for me to play my WiiU version of the game. I guess I'll put other RPGs higher on my backlog list. Sounds terrible! But you'll be happy to know the only Dreamcast version of PIer Solar I could find was on Ebay and it was going for $125 - so you've already doubled your money! In ten years... who knows! All for a terrible game no one should play - huzzah! I liked Oblivion too, just not all of the mechanics... and the combat sucked... but the same goes for Fallout 3. It's also not super-sandboxy. F3 has a reasonable amount of content compared to Elder Scrolls. So glad you finally liked a sandbox game (and a shooter no less). Can't wait to see what you think of New Vegas.